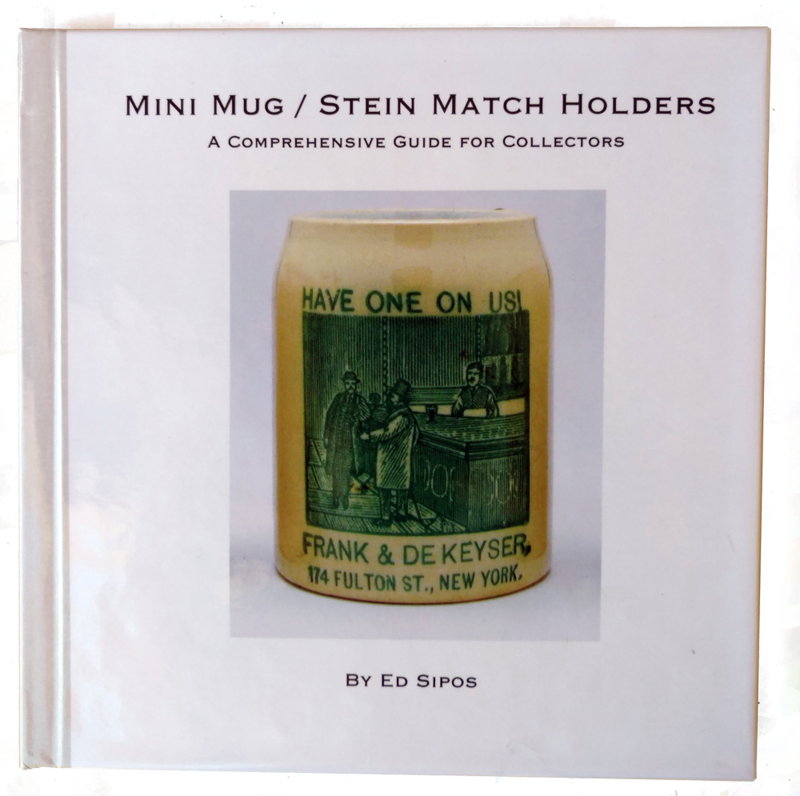 This site provides a unique look at vintage Miniature Mug or Stein Match Holders. In the following pages you will find a variety of mugs separated into different categories. My intention here is not to offer a price guide, but simply to provide a look into the historical significance and collectability miniature mug match holders possess. Minis can range in value from as little as a few dollars to several hundred dollars depending on condition, graphics, topic, or demand for a particular mug. Updates to this site will be made as new information or new mugs are discovered. If you have any information to offer for inclusion, or mugs for sale, please feel free to contact me. I Pay Top Dollar for Mini Mug Match Holder! ﻿I'm especially interested in mugs from breweries or those with advertising. Trades are welcome. An assortment of brewery advertising mini mugs. This book is available in limited quantities! All mini mugs on this site are featured in the book along with many more. 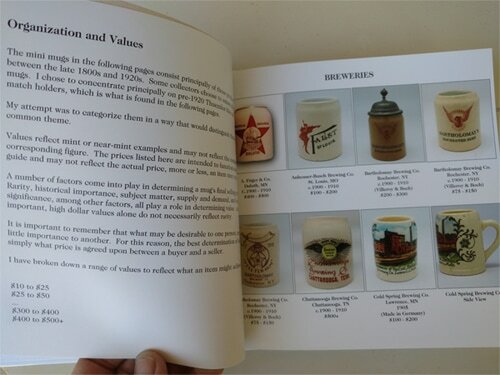 Values for each example are included as a guide for helping value your mini mugs! Please click here for more details, or how to attain a copy!